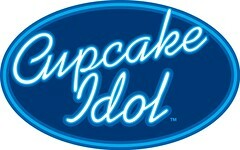 We here at Cupcakes Take The Cake are going viral with a video contest,"Cupcake Idol". Send your cute, funny, creative and short cupcake videos to our special You Tube group from now until September 30. Suggestions for videos include sketches including cupcakes, kids with cupcakes, cupcake hijinks like food fights. If you are do animation, send us a cupcake cartoon. Videos should be no longer that 7 minutes. The first week of October we will select the five best video for our readers to vote. Winner will be announced on Friday, October 13. It's a lucky day! Grand Prize: a cupcake care package with a Cupcakes Take The Cake T-shirt, Hey There, Cupcake book by Clare Crespo, and if you live in New York City, a gift certificate for a dozen cupcakes from Sugar Sweet Sunshine.